The most recent member to pass away was legendary surf photographer, LeRoy Grannis, whose tribute and memorial paddle out are talking place on Saturday, June 25, 2011 on the south side of the Hermosa Pier at 11:00 AM. Bo Bridges Studios on Hermosa Avenue will feature a gallery showing of Grannis photos and there will be a slide show of Granny's work at Sangria Restaurant on Pier Plaza. 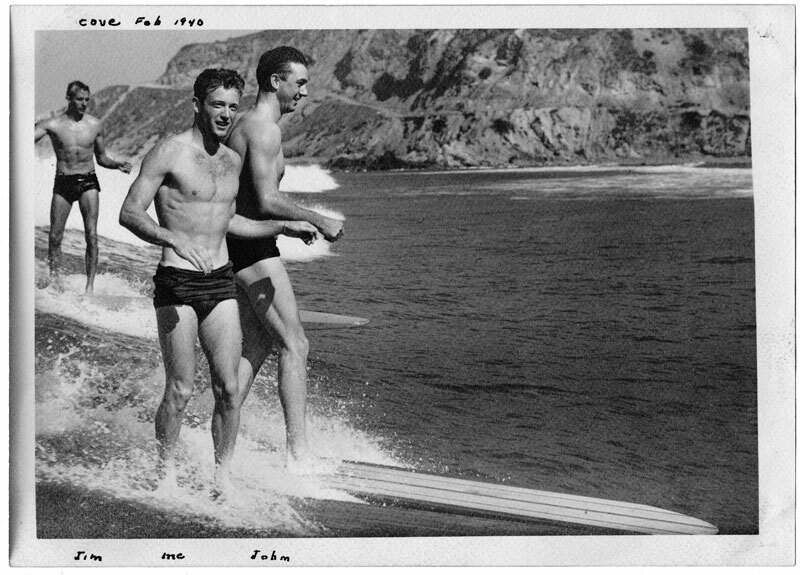 The Hermosa Beach Surf Museum will have a large collection of LeRoy's photos and memorabilia. Surfing Heritage's main facility in San Clemente will be closed that day in order for us to attend the ceremony honoring this giant chronicler of surfing culture. We hope you can make it. This is a cool photo. It is always great to see pictures these known surfers back then. They contributed a lot to this activity that we enjoy today.